Debenhams believes its Cinderella-themed Christmas ad resonated strongly with customers despite having suffered a slump in sales. It emerged yesterday that like-for-like sales decreased 2.6% in the UK during the 17-weeks to 30 December, but sales did rally slightly in the six weeks before Christmas with a 1.2% like-for-like increase on a constant currency basis. Debenhams revealed it recorded a "disappointing" performance in the highly seasonal gift category, and revealed it would miss its previous profit guidance. Sergio Bucher, chief executive at Debenhams, said: "If anything our marketing strategy and investment has been more premium than in previous years. "One of the favourite TV adverts this season was our Cinderella story that resonated very well with consumers and that was probably a departure from the more product-focused strategy that we had in the past." 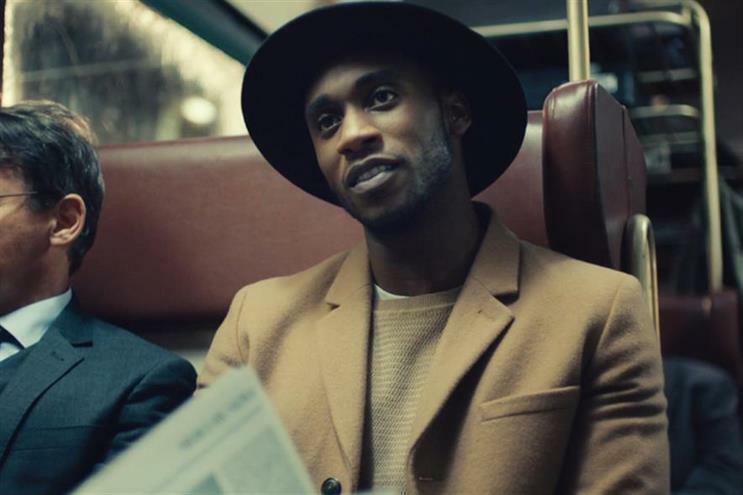 The ad, featuring a voiceover and a cameo by actor Ewan McGregor, was created by the retailer's outgoing ad agency J Walter Thompson London, which is making way for Mother after eight years. Bucher added that Debenhams’ online clothing sales had grown ahead of the market due to its investment in adtech such as Mobify. Mobify, which has helped double the speed of Debenhams’ mobile site, has boosted conversion rates at the retailer. Bucher believes there are five areas within Debenhams control when it come to e-commerce. He said: "It is conversion rates, delivery experience, the quality of the shopping experience online, making online faster, and working on our search algorithm." The focus on elements within its control comes after Debenhams was forced to pull back from investing in Google key words over Black Friday because of the spiralling cost. Bucher explained: "The same key words on Google cost 30% more than the previous year therefore there was a lot more competition. [As] people were bidding harder and the costs were so high we sometimes decided to save our additional marketing money during that week to be able to invest it in the run up to Christmas. I think that turned out to be a good decision." Which retailers got an iPhone X for Christmas, and which ones got a lump of coal? Should brands bother with Black Friday?